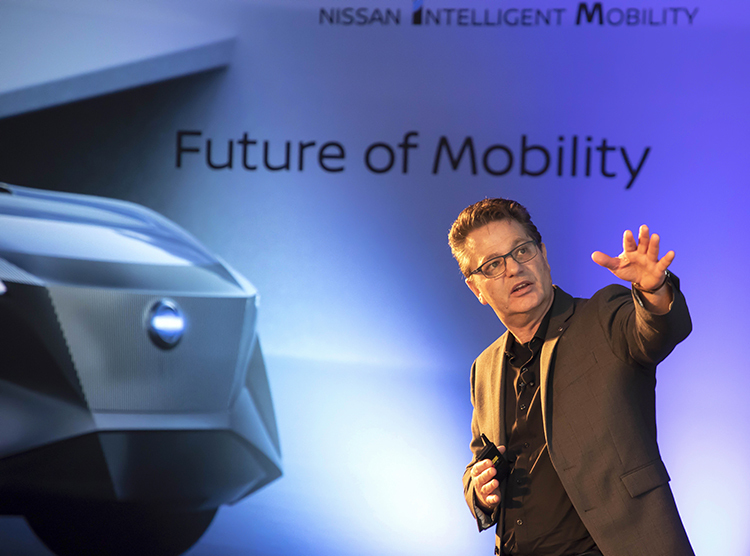 Nissan Futures in Hong Kong brought forward three mobility trends for the Asia and Oceania region: cars as energy assets, the human role in autonomous driving systems and the importance of safety in mobility innovations. The seventh edition of the global event was held from March 8 to 10 in Hong Kong. Under the theme “Transform the way we live and drive,” it brought together representatives from 13 countries to discuss how vehicles, cities and mobility infrastructures are evolving. Panelists discussed whether the uptake of electric vehicles (EVs) could lie in reimagining usage from just a mode of transportation, to a means to power homes and return energy to the grid. Nicholas Thomas, global director of Nissan’s electric vehicle division, proposed that electrification of mobility could be a solution to energy market disruption. He showcased how EV batteries can be used on a larger scale to power homes, office and the grid. Current autonomous vehicle discussions largely center on technology. Participants however agreed that humans will still hold the key to transforming mobility and our cities. The Future of Mobility panel presented how creating zero accidents and safety should be the main driver behind technology innovations. Nissan Futures was timed in conjunction with the 2019 HKT Hong Kong E-Prix race. Nissan participated in the race with two vehicles through the Nissan e.dams team, thereby demonstrating technology transfer from high-performance e-racing to mass market vehicles.